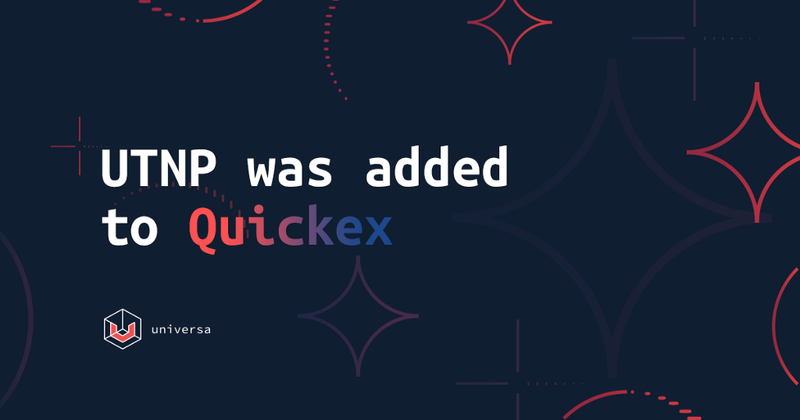 At the end of last year, UTNP token was added to the popular cryptocurrency exchange service, Quickex. You can use the platform to exchange UTNP to and from BTC, ETH, LTC, ETC, DASH, XRP, quickly and at very good rates. • Best rates from 20+ exchanges. • 50% partner program for most exchange directions. • Only 0.5% transaction fee. Quickex connects to exchanges via API to identify the most profitable offers instantly. It works with such exchanges as Bittrex, Exmo, Okex, Binance, etc. At the end of last year, UTNP token was added to the popular cryptocurrency exchange service… was originally published in UniversaBlockchain on Medium, where people are continuing the conversation by highlighting and responding to this story. Older →Happy U Year! 2018 Summary!